Colorado lawmakers plan to introduce legislation by next week to make it harder for people with mental illnesses to buy guns. The legislation, which does not yet have a bill number, marks the last of several measures that Democrats are sponsoring this year to try and curb gun violence in the wake of the Aurora theater shootings and the massacre at Sandy Hook Elementary School. The other bills include measures to limit magazines to 15 rounds, require background checks on all gun transactions, limit guns on campuses and require gun buyers to pay for their own background checks. 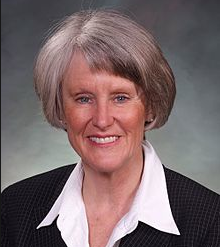 Rep. Beth McCann, D-Denver, is the House sponsor for the gun measure related to the mentally ill.
Rep. Beth McCann, D-Denver, wants mental health providers to do more to safeguard the public from patients who should not have guns. The goal of the bill is to try to give mental health professionals another tool so that if they believe someone is dangerous either to themselves or to someone else, they can actually report that to CBI (the Colorado Bureau of Investigation) and have a flag put on that persons instant check so they wouldnt be able to purchase a gun, McCann said. New York passed a similar measure earlier this year. Currently in Colorado, mental health workers can put people who are a danger to themselves or others in a mental health facility for 72 hours. But only in rare cases are those holds reported to law enforcement officials. California requires notification to law enforcement when anyone faces involuntary commitment and those people are barred from buying guns for five years. The Colorado measure could include a similar measure to the California bill or it may simply require that people be evaluated for gun ownership if they have been placed in a mental health facility on an involuntary hold. McCann, a former prosecutor and former Denver Manager of Safety, said people who are mentally unstable should not have access to weapons. Currently (in Colorado) theres no provision for a mental health professional to have any input, McCann said. Its possible that Aurora theater shooting suspect, James Holmes, for example, could have been prevented from buying weapons, McCann said. He was seeing a mental health professional. Had she had the ability to say, this person shouldnt have a gun, who knows? He purchased his guns from licensed dealers. If there had been a red flag, he wouldnt have been able to do that. It would have put up another barrier, McCann said. She personally witnessed crime scenes while working for the Denver District Attorneys office and said she saw some extremely disturbing homicides that would not have happened without easy access to guns. Rep. Rhonda Fields, D-Aurora, whose son was shot and killed before he was able to testify against a gang member and who recently faced death threats from a gun enthusiast, will co-sponsor the bill, McCann said. Some advocates for people suffering mental illnesses opposed the New York measure, fearing that people having violent impulses would avoid seeing a mental health provider or would not be entirely truthful with their therapists or psychiatrists if they knew the professional was required to report potentially violent behavior. McCann has been meeting with advocates for people coping with mental illness here in Colorado. She said she is inclined to lean toward protecting the public, but may consider altering mandatory reporting requirements in order to encourage patients with mental illness to continue seeking care. Advocates for people suffering from mental illness are concerned about their ability to predict violence andinterfering with the patient-therapist relationship, McCann said. Were trying to see if theres a way we can do a bill that would be acceptable to mental health professionals, she said. I dont want to do a bill thats not going to work. Mental Health America of Colorado has not yet taken a position on the bill, said Michael Lott-Manier, the groups public policy and advocacy coordinator. He warned, however, against preventing people from seeking mental health care. If people fear that they will be viewed differently than everyone else and have this mark upon their names, they are less likely to seek help, Lott-Manier said. We believe gun violence is a public health issue and that it should be treated like one. Any legislative agenda that focuses solely on mental illness as a risk for gun violence will be ineffective, he said. For example, , Lott-Manier said 76 percent of 4,362 people in Colorado whose death was linked to a gun between 2004 and 2012 killed themselves. As Colorado policymakers work to prevent gun violence, they must also focus on the suicide, not just mass shootings or homicides. We support a comprehensive package of commonsense gun violence prevention measures, Lott-Manier said. Gov. John Hickenloopers proposal to increase spending on mental health issues by $18.5 million includes a statewide crisis hotline and walk-in centers that would open around the state. These options could give people who are suicidal a safe way to seek help. Mental health is a part of every single human, Lott-Manier said. Everybody has mental health concerns. One in four people may have a diagnosis and seek treatment. But each of us needs to take care of (our mental health). When it comes to guns and death, the biggest issue is suicide, a fatal symptom of untreated behavioral health conditions, Lott-Manier said. While Colorado lawmakers and mental health advocates debate the merits of mandatory reporting, New York Gov. Andrew Cuomo pushed through a comprehensive package requiring mental health professionals to report concerns. Law enforcement officials there are required to confiscate any firearms owned by a patient who is deemed to be potentially dangerous. Therapists in New York will not be sanctioned for failure to report potentially violent patients if the mental health providers acted in good faith. Colorados measure is expected to have a similar clause to protect providers. People who have mental health issues should not have guns, Cuomo said. They could hurt themselves. They could hurt other people.